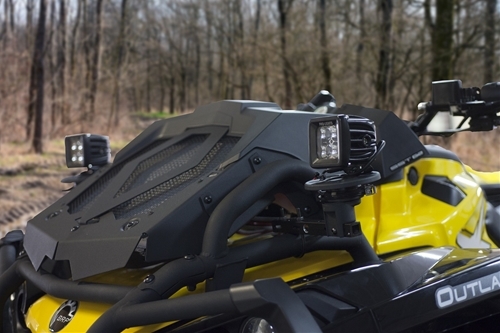 Adding lights and other 12v accessories to your XMR or other ATV with a relocated radiator has never been so easy. 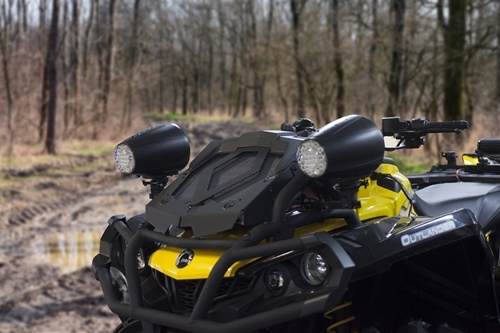 Using the Power Bar Standoff Mounts, simply bolt the mount to your rack on each side of the radiator, connect the SAE quick disconnect plug to the other side, plug it in to your battery and start adding accessories. All of the Power Rail, push fit locking accessories, including the Bazooka Bluetooth Speakers and Power Pads, simply snap onto the standoffs the same way they do the Power Rail. It's that easy! And just like on the Power Rail, loosen the locking nut and you can rotate your light or speakers a full 360 degrees. 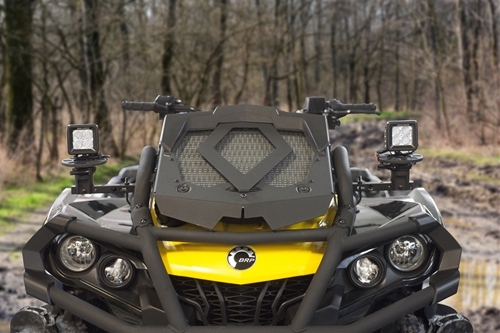 Mounting to the Can Am XMR requires our PR-URM universal clamps (sold separately) to attach them to the safety bars around the radiator. 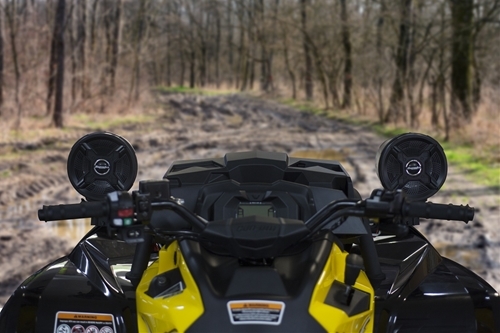 They will also work with the XMR machines with the Gen 2 racks using the Can Am Linq system (LinQ mounts not included). Powder coated aluminum standoff mounts. 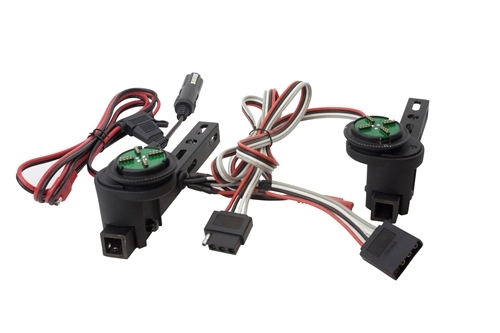 SAE quick disconnect wire harness (M/F) for connecting the standoffs together and to the battery.